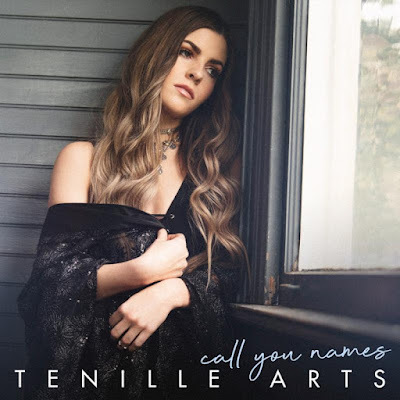 Hot on the heels of topping the Radio Disney Country Top 50 Chart with her “I Hate This” single, Reviver Records today released “Call You Names,” an incredibly personal song from Tenille Arts. Written by Tenille and James T. Slater (“High Cost of Living,” “In My Daughter’s Eyes,” “Unstoppable”) and produced by Alex Kline, the new single has special meaning for Tenille. Tenille shot a music video in Los Angeles for the new single last week before traveling to Las Vegas to perform a rousing set at Stoney’s Rockin' Country as part of the ACM Lifting Lives events leading up to Sunday’s ACM Awards. The video will begin airing later this month. After a few days in Nashville, Tenille heads to her home province this weekend where she is nominated in six categories at the 30th Annual Saskatchewan Country Music Association Awards. She took home four awards last year, and she received nods this year for “Female Artist of the Year,” “Interactive Artist of the Year,” “Fan’s Choice Entertainer of the Year” and “Single of the Year” and “Songwriter of the Year” for her Canadian single “Mad Crazy Love.” She is also nominated in the “Video of the Year” category for U.S. single “I Hate This.” Voting for the “Fan’s Choice Entertainer of the Year” is currently open here. The Awards will be presented in Saskatoon, Saskatchewan on April 14, 2019. Born and raised in the small prairie town of Weyburn, Saskatchewan, Tenille Arts picked up the guitar and penned her first song at the age of 13 and has been performing across the US and Canada ever since. She made her first appearance on The Bachelor in January 2018 singing her original song “Moment of Weakness.” The performance resulted in a record deal with powerhouse indie label Reviver Records. Tenille has released an EP and a full-length album, and her music has tallied over eight million streams. Noted music critic Tom Roland was so moved by her music that he has penned two full-page features in the Billboard Country Update. Music Row Magazine critic Robert K. Oermann called Tenille "Promising in the extreme." Streaming giant Pandora named her one of their new artists to watch, and CMT included her in their “Ten Must-See Indies You Need to Know,” a video discovery program that spotlights rising independent artists and established artists from independent labels. Rolling Stone named Tenille one of their “10 New Country Artists You Need To Know,” calling her “An edgy, Fearless-era Taylor Swift with crystalline vocals; ideal for hopeless romantics who are fire signs,” and PopCulture.com named her one of their "Country Artists to Watch in 2018." Millions of viewers caught Tenille performing “I Hate This” on ABC’s top-rated The Bachelor in January. The song hit #1 on both the U.S. and Canadian iTunes Country Charts and #9 U.S. iTunes all-genre following the appearance.